Let there be no illusions about this article. It is being written from the comfort of a computer armchair more than a thousand miles away from the conflicts of the Middle East. And from where I sit the underdog has just got the better of the argument with the neighbourhood bully in the Middle East. This is a long way from the story of David and Goliath. This Goliath is still very much alive and dangerous. But for the moment at least he has been taught to back off and sit this one out. As an election campaign the recent Gaza conflict may not have done Mr Netanyahu any harm, but it may not have done Ehud Barak a lot of good either. If Mr Barak is now forced out of office because Israel forces were constrained from carrying out the Dahiya doctrine on Gaza it will indeed be good riddance to very bad rubbish. What is abundantly clear however is that this criminal policy of scorched earth was not carried through, and it was not because the Israeli public disapproved of such an action, not because the Israeli politicians or the military leaders could not stomach such a crime, not because the UN, America or Europe was appalled and offended enough to act and not because the international Criminal Court struck fear into the gangsters contemplating such an act. The only constraints on the bully boy rogue state this time around were the Palestinians themselves. Let no one be in any doubt about this, apart from moral support from civilians around the world, some fair (if subdued) campaigning from Amnesty International and courageous reporting from the alternative media, the people of Gaza had only the support of their fellow citizens on the West Bank during their suffering from the rampages of the most malignant army in the world. While there has been a stream of Muslim politicians visiting Gaza this last week none has dared to defy the mighty American dollar and match action with words. The Rafah crossing has stayed firmly shut to goods so that while Gaza’s medical supplies sink perilously close to exhaustion not so much as a band aid crossed the terranean border from Egypt. The opposition in Turkey has called on its government to close the US radar base at Kürecik on the grounds that it benefits Israeli security, but Prime Minister Erdoğan appears not to have given the matter any consideration. The Emir of Qatar had visited Gaza in October and insisted that the aid he promised for rebuilding the territory would be sent via the Rafah crossing. But this fair weather friend was strangely quiet all through the Israeli assault. Human Rights Watch treated both sides as equal combatants in calling for an end to attacks on civilians. Did this prestigious organization not know that Israeli smart bombs had targeted three hospitals and one clinic in Gaza and that the Jordan Field Hospital in Gaza City had been damaged beyond repair? Does not 155 dead in Gaza compared to five dead in Israel not suggest a disparity of force, and of responsibility? If the grotesque photos from Gaza of dead children, (including one of what appears to once have been a young girl, but now looks like a rag doll with a red hole for a brain) cannot evoke more action from HRW then there is clearly a need for a new, and genuine, organization to campaign fairly and honestly for human rights. It is a fact that the Gazan response in this Israeli-initiated conflict has been indiscriminate attacks on civilians. It is a fact that these actions are war crimes. It is also a legitimate question to ask what other response was available to the militant defenders within that embattled enclave? The UN did not help (again). The governments which could have restrained the most militarized nation in the world stayed their hands. As Israel called up 65,000 reservists for a ground assault and the Dahiya doctrine was openly discussed, a massacre of Palestinian civilians on the scale of 2008/9 was on the cards. That it did not happen does not appear to have been the result of any influence from Barak Obama and was certainly not the result of any action by Congress. That can only mean that Gaza’s war crimes have in fact prevented a greater crime. Fajr rockets landing on Jerusalem and Tel Aviv and a homemade rocket killing three Israelis at Kiryat Malachi have spoken louder than any weasel words in the UN. The near destruction of an F-16 has shown that even advanced US weaponry is vulnerable now, while the Iron Dome defence system that Israel had hoped to market as a battle proven defence system now looks a bad investment to any potential buyer. A bomb on a bus in Tel Aviv appears to have been the final argument that convinced the bully to take the peace negotiations seriously. This was not a moral option: it was an outrage. But regrettably in a world of lies, hype, hypocrisy and callous indifference the civilian victims of Tel Aviv seem to have been the blood sacrifice that was necessary to bring a little sanity and reason to a troubled region. What now? Israelis can now come out of their shelters and get on with their lives. The 65,000 reservists can go back to useful occupations and the Israeli economy will be the better for it. Barak Obama can serve another four years as Israel’s poodle and Europe will continue to treat Israel as a normal state. But for Gaza the siege is likely to continue. It is true that the peace deal requires “procedures of implementation” to be put in place on opening the border crossings and allowing free movement of people and goods. It is also very true that we have been here before with a deal brokered by Condoleeza Rice in 2005 and promises made after the 2010 public relations disaster when psychopaths raided the Freedom Flotilla. None of those promises was kept and we should not indulge too much wishful thinking this time. 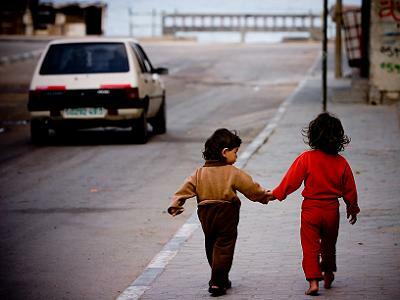 But it is important that no one forget that there is a crisis in Gaza. Huge quantities of medical supplies and equipment are urgently needed. Infrastructure needs a complete overhaul. Homes, schools, hospitals, sports and social facilities need building and repairing. Above all Gaza needs access to the world outside the concentration camp, to trade, to send its critically sick for advanced care, to send its bright young people for an advanced education and generally to interact with the world about it. Israel’s past history has been one of preventing this by all means, while hiding the evidence. Few people know that the 550 tons of cement from the Freedom Flotilla were kept on the Rachel Corrie in Haifa harbour until it was unusable. Few people know that the two x-ray machines for Gaza were seriously damaged while under Israeli control and so rejected by the UN. In fact it is not clear just how much of the 10,000 tons of cargo from the flotilla was ever allowed to get to its destination and put to use, despite the assurances to the world by that inveterate liar Mr Mark Regev. The real battle for Gaza now lies ahead and it is likely to be just as unequal as the one that has just ended. Aux armes citoyens: a great challenge lies ahead and we must be on our guard because, judging by their past actions, our politicians and the faux human rights organizations, along with much of the media, are not going to side with right against might in the continuing struggle for freedom and human rights in Gaza. – Richard Lightbown is a researcher and writer. He contributed his article to Palestine Chronicle.